Hurray and hurrah! 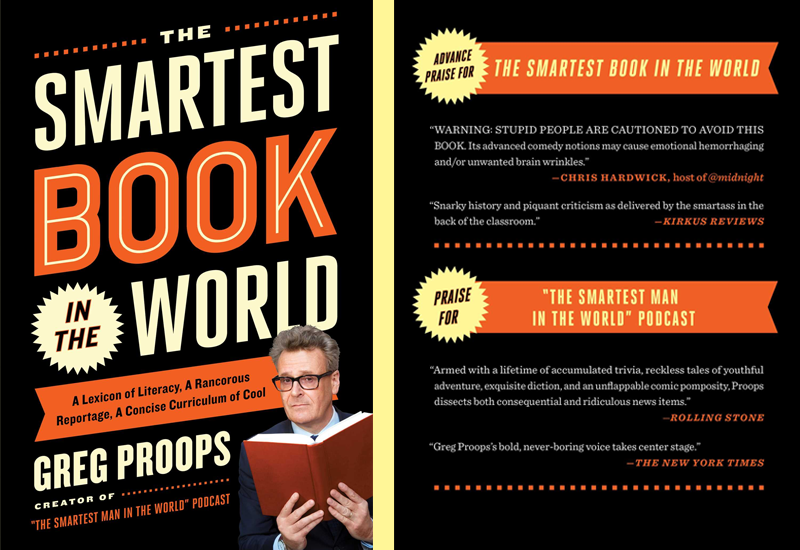 We are jazzed to share some splendorous quotes from the recently published tome The Smartest Book in the World: A Lexicon of Literacy, A Rancorous Reportage, A Concise Curriculum of Cool by Mr. Gregory Proops. Order your copy today (Amazon, Barnes & Noble, IndieBound) and be sure to follow the Proopster on Twitter for the latest and greatest on the book, his tour, and his podcast.